JOIN US FOR A COMMUNITY WIDE OPEN HOUSE! Explore the beautifully decorated model homes at Jerome Village and enter to win a Columbus Zoo membership at each model home you visit! The Columbus Zoo is a wonderful amenity for Jerome Village residents and is located just 4.5 miles away! Click HERE to download a model homes map, and make sure to plan your day accordingly. Pasquale’s Pizza and Pub will also be open for lunch and dinner so make sure to stop in for their famous Founders Favorite. Get ready for the JV Independence Day Party, plus more to do in July! Independence Day Party at the Pool! Join us for grilled hotdogs and hamburger specials, DJ Jeff Dixon and photo booth on site! 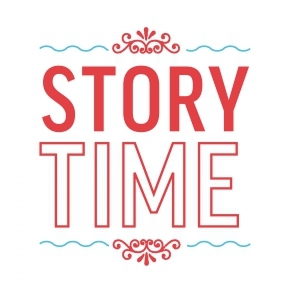 Join us July 13th and every 3rd Thursday in the clubhouse for story time with the Union County Library. Lunch specials start at 11am. Saturday, July 15th is Grandparents Day! **All grandparents must be accompanied by a resident. Join us every third Thursday this summer for story time at Pasquale’s. Lunch Specials start at 11 am. Join us for a movie at the Pool!